Thinking of selling or trading in your conversion van? We pay top dollar and can even make arrangements to pick it up. 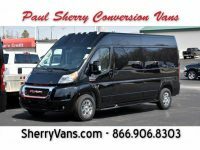 To see what your conversion van is worth, either fill out the form below or call us directly at (866)906-8303. 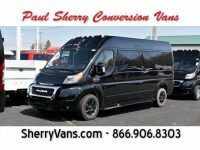 Whether you want to sell your van or trade it in for a newer model, the team at Paul Sherry Conversion Vans can help you. We gladly buy a range of vans, as this lets us keep our stock of used models replenished so we can continue to offer a wide variety of vehicles to our clients. While we will buy a wide range, our focus is on the following. Since our dealership specializes in conversion vans, it makes sense that we really just buy used conversion vans. After all, that is what clients visit us in search of, and regularly buying used vans lets us keep our lot full with options. Of course, we always prefer that the used conversion vans be in good shape. We also won’t always purchase those that are in poor condition, incredibly old, or have an excessive number of miles on them already. Regardless of the type of conversion van you need to sell, we are likely to accept it. We will buy models from RAM, GMC, Ford and Chevrolet, provided that they meet our standards for condition. So, no matter the brand of your conversion van, feel free to consult us and find out if we’ll buy it. In addition to the wide range of conversion vans, we will buy passenger vans that can seat anywhere from seven to 15 people. These are the passenger capacities our clients are most likely to look for. Coincidentally, they are also the most common capacities, so your passenger van should fall within the range that we are interested in. If you have an old mobility van, we will also buy this. We pride ourselves on offering options for all of our clients, including those who have difficulty getting around. Because of this, we are always in search of additional mobility vans to add to our selection. By buying used mobility vans from customers, we don’t have to take the time to make conversions ourselves through reputable partners. If you are even unsure as to whether we will buy your conversion van, feel free to give us a call or fill out our online form to ask us. We’ll be honest with you about whether we are interested. In the rare cases when we don’t want to purchase your van, we may be able to suggest somewhere else to sell it. We just ask that any conversion van you sell us be in reasonable condition. We do like to offer our clients models at a range of prices, which is why we will accept varying mileage counts and condition ratings. That said, we pride ourselves on only selling reliable models, so we will not want to buy your conversion van if it is barely running or requires a long list of repairs. Assuming your van is still drivable and in reasonable shape, contact us to get the ball rolling on a trade-in or sale.